MP Todd Barclay secretly recording his staff members. “The substance of my statement to the police is that he told me there were recordings of his staff,” Mr English told media this afternoon. Mr Barclay had been denying that the recording ever happened, but Mr English says he told police last year he was aware of the recording having taken place. “I said to police that Todd Barclay had told me that he had recordings of his staff criticising him,” Mr English said. When asked if Mr Barclay lied and the Prime Minister knew about it, Mr English replied “You’d have to ask him”. Earlier on Tuesday Mr English said he could not recall who told him about the recordings, while Mr Barclay said he “refuted” the allegations about the recording. Glenys Dickson, a former staffer at National Gore MP Todd Barclay’s office, was paid out using taxpayers’ money over the taping allegations, according to a Newsroom investigation. Newsroom says text messages from Mr English, who was deputy Prime Minister at the time of the dispute, show he knew of the issue and there was a large settlement “because of the privacy breach”. Mr Barclay continues to deny allegations of workplace bullying and says he “completely refutes” claims he made secret recordings of Ms Dickson. In the Newsroom investigation, Ms Dickson says every staff member was having difficulty with Mr Barclay and he yelled at her “regularly”. She said she felt “completely violated” when she was told secret dictaphone recordings were made of her at work. 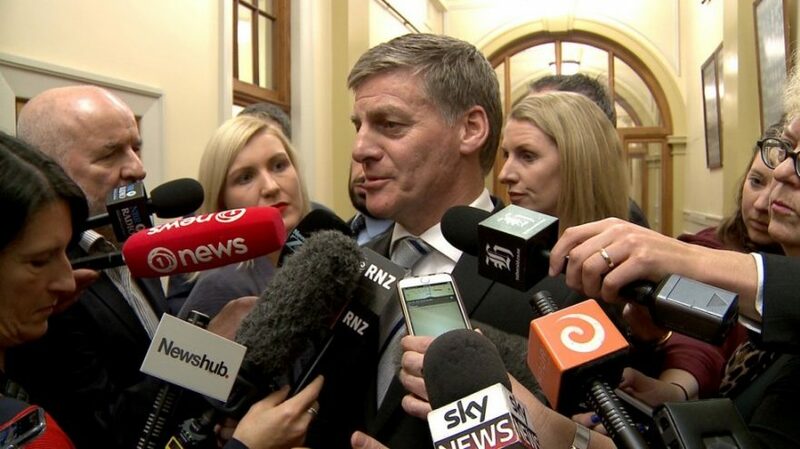 Labour Party leader Andrew Little says Mr Barclay is not up to standard as an MP. “He’s got to front up and answer questions from the police. This is about accountability and integrity,” he said.